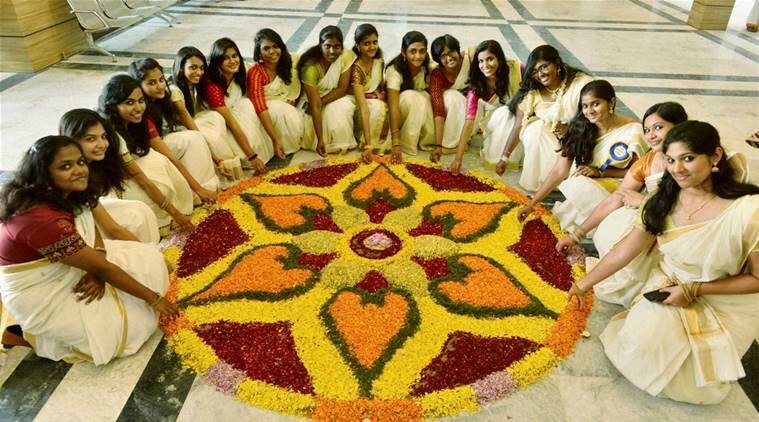 Onam is celebrated with much fanfare not only in Kerala but by Malayalis across the world. The 10-day festival concludes with Thiruvonam, which - according to folklore - is said to be the day when the beloved demon king Mahabali visits earth. From a nine-course feast called Onasadya to festivities called Onakalikal, Onam is the most important annual festival for Malayalis. Onam is the biggest festival for Malayalis, and is celebrated with much fanfare all through Kerala. Observed during the month of Chingam, the first month of the Malayalam solar calendar, Kollavarsham, it is celebrated over 10 days. The festival commences on the day known as Atham and culminates on the 10th day, known as Thiru Onam or Thiruvonam, meaning “Sacred Onam Day”. This year the festivities will begin on August 25 and continue till September 4. However, a few customary celebrations continue for two more days with snake boat races, Pulikkali tiger play and other cultural events. Interestingly, Onam is celebrated to welcome and honour a demon king. According to popular legend, it is said that on Thiruvonam, the spirit of the demon (asura) King Mahabali visits Kerala and the festival is a preparation to welcome him. Despite being a demon, Mahabali was known to be generous and kind, and his reign is regarded as the golden era in Kerala, which is why his ‘return’ is so widely celebrated. According to Vaishnava mythology, it is said that Mahabali came to power by defeating the gods and taking over the three worlds. Gods were unhappy by his popularity and asked for Lord Vishnu’s help in a battle against the demon king. Vishnu agreed to help but did not want to participate in a battle as Mahabali was his ardent devotee. Instead, to help other gods, he took the form of a poor dwarf Brahmin (his Vamana avatar from the Dasavatara) and visited Mahabali, asking the king to grant him three wishes. Arguing that one must not ask more than what one needs, the Brahmin requested the property right over a piece of land that measures “three paces”, to which Mahabali agreed little knowing that he was dealing with a god. Soon, the dwarf grew in size and with covered everything Mahabali ruled over in just two steps. For the third step, Mahabali offered his head, which Vishnu agreed to and placed his foot over the king’s head, thus, casting him into the nether world. 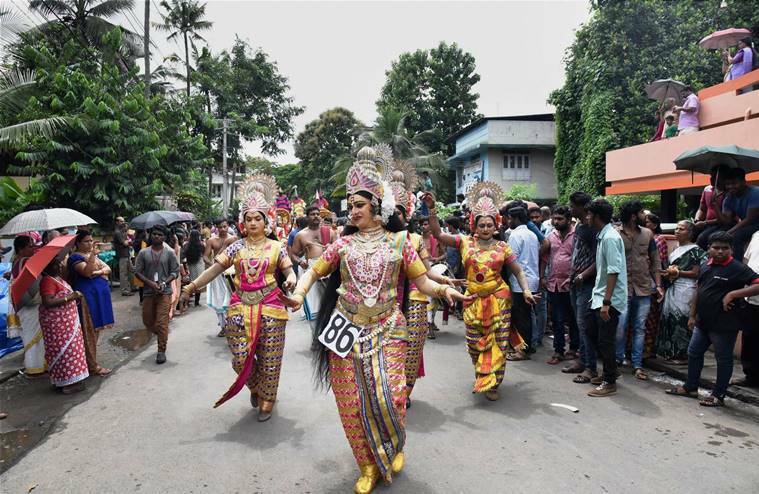 But impressed by Mahabali’s devotion and good deeds, Vishnu allowed him to return to earth once a year — it is this annual visit that is celebrated with much fanfare as Onam. To welcome the ‘golden ruler’, people make ‘flower mats’ known as Pookalam (like a flower rangoli) in their courtyards, and also prepare a grand meal called the Onasadya. 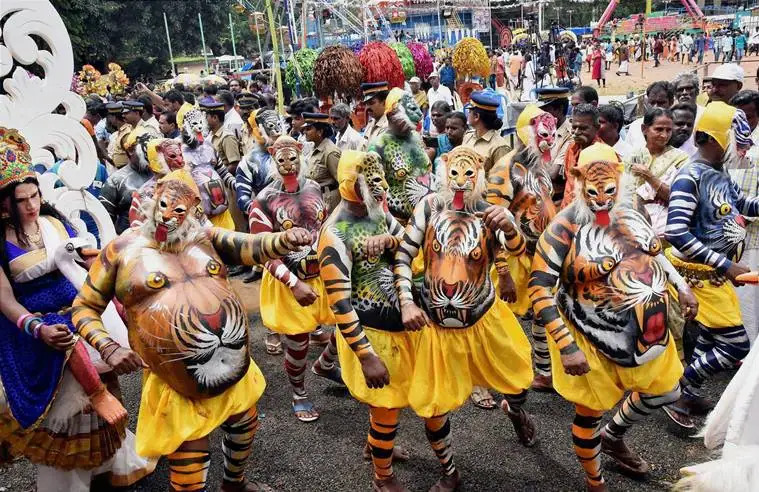 Celebrations also include traditional dance, music and games that are collectively called Onakalikal. All this is done to show King Mahabali that his people are prosperous and happy. 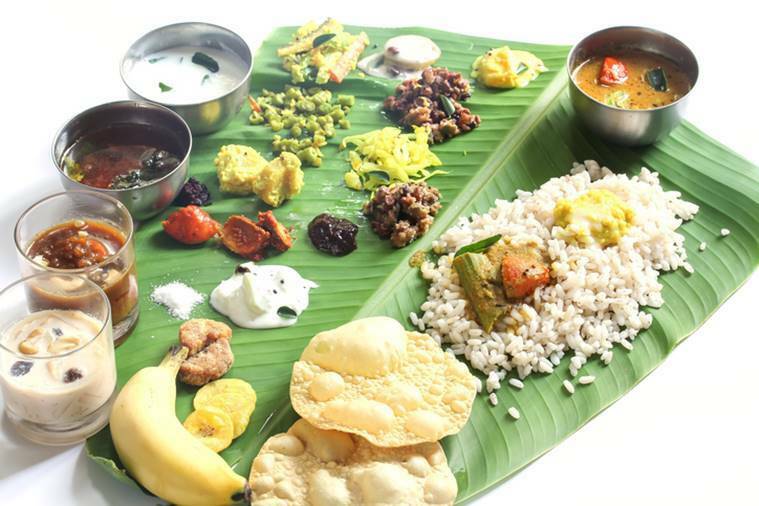 One of the main attractions of the festival is the grand feast known as Onasadya, which is a nine-course meal consisting of 10-13 dishes, including rice, sambar, avial, rasam, payasam (sweet dish). It is served on Thiruonam — the day of the main festivities. At the Thrikkakara temple in Kochi, dedicated to the Vamana, the celebration begins with a flag hoisting and then continues with dances and performances. The idol of Lord Vamana is dressed and decorated, and then taken on a procession. People begin the day with an early bath, followed by prayers, and then go on to create Pookalams. New clothes are worn, and families gather to enjoy an elaborate vegetarian feast. According to Drikpanchang.com, Thiruvonam – which is the last and most important day of Onam celebrations – will be celebrated this year on September 4.